Greg Jenkins, right, at a recent board meeting. At left sits his ward-mate, David Kirk. Greg Jenkins, a Burlington school commissioner representing Ward 7, has resigned, making him the third person in recent months to leave the 14-member board prematurely. Jenkins gave word of his decision without much fanfare. He posted the following to Front Porch Forum, and declined to comment further. Effective 6/10 I have resigned from our school board for deeply personal, and philosophical differences. It is not in my nature to get gagged, but I was and well $225ish made it not our problem. This goes against the very nature of who I am. There are hopeful signs this board can rally. Please let us come together and fix the problem, and not bicker. I look forward to doing something else. The string of school commissioner departures began several months ago when Keith Pillsbury announced his resignation, effective June 30. Meredith Woodward King is also stepping down June 30 because she is moving out of the state. Pillsbury said he disagreed with the school board's decision to hold meetings without outgoing Superintendent Jeanne Collins present. Like Jenkins, he also took issue with board chair Patrick Halladay's request that Collins refer all interview requests to him. "I did not agree with silencing the superintendent with the press," Pillsbury said in a statement on April 30. Pillsbury and Woodward King's seats have been filled by Mark Porter and Kathleen Kleman, respectively. Jenkins' seat won't be filled until the primary election on August 26. Reached Thursday, Halladay said of Jenkins decision, "I was certainly surprised to learn that he had resigned." 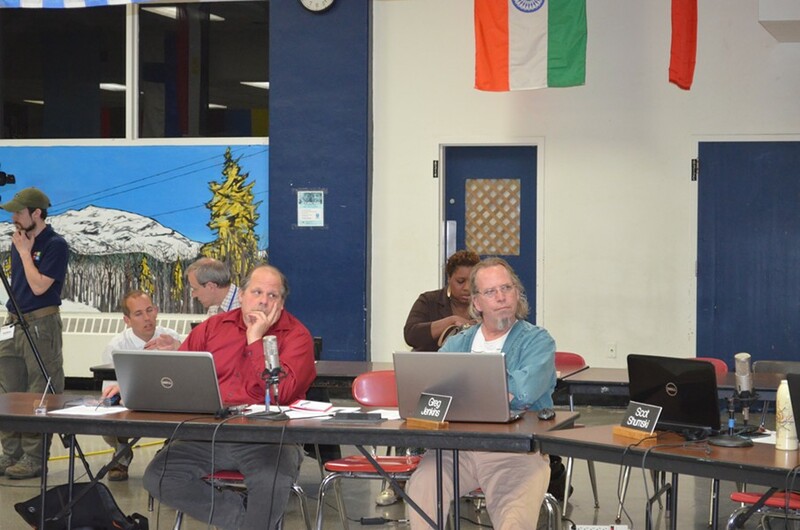 The board has had its hands full redrafting its Fiscal Year 2015 budget proposal — which narrowly passed last week — and addressing the district's financial problems. That work as taken a toll on board members, Halladay said: "In terms of the spirit of the board in general... we are all tired." But despite being beleaguered, the chair said he also thinks things have stabilized. "I don’t feel like there's great dissent on the board. I feel people are more or less on the same page trying to move forward and get the stuff done we need to do."